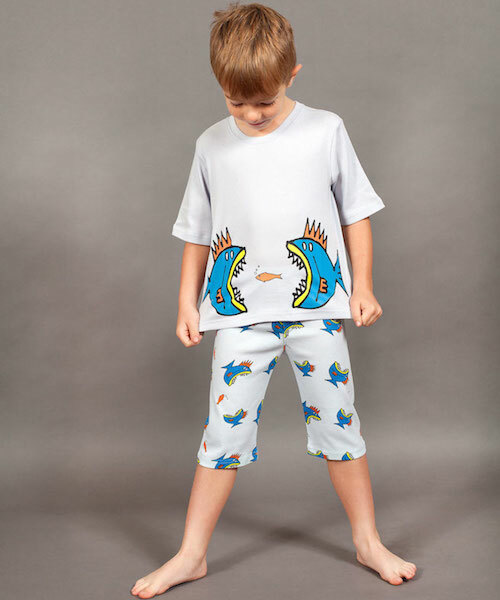 Grrreat monster and Grrreat all over stripe print in maus house boys shortie pyjamas. Snug fit styling through the body, with elasticated waist and fly front detailing. The monster placement print and striped legs are truly fun for the little ones bedtime. 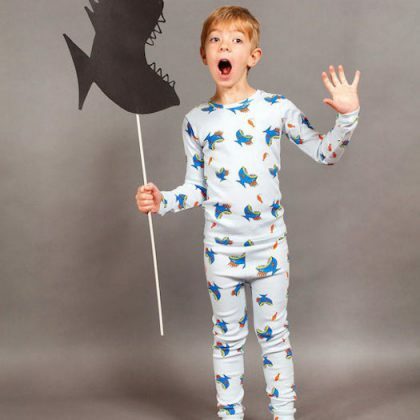 Something Fishy print and Something Fishy all over print in maus house boys shortie pyjamas. Snug fit styling through the body, with elasticated waist and fly front detailing. The hungry pirahnas placement print and feeding frenzy all over print legs are for the older boys bedtime. 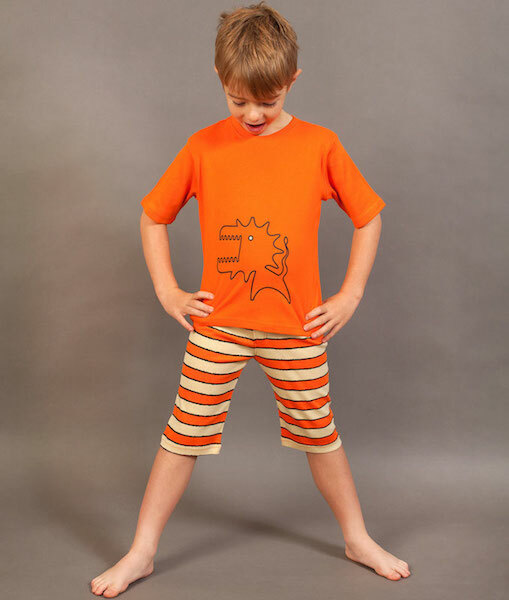 Made from 100% cotton and machine washable, these shortie pyjamas are great for hot bods and summertime fun. 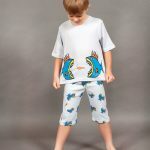 Order these in the Grrreat Monster print, Grrreat Sripe print, Something Fishy print and Something Fishy all over print.